Mushrooms have long been used in the culinary world but until now we are seeing it added to the superfood list due to its amazing benefits. Although these have been used medicinally for years in other countries it is now booming in the US. These have been shown to fight against toxins and pathogens that we face each day to avoid further disease. They have also been named adaptogens, which are known to adapt the body to day to day stressors. Mushrooms have a way of boosting the immune system by way of a number of vitamins, minerals, and enzymes. Due to their high quantity of antioxidants they are named an anti inflammatory, and anti viral. They are most beneficial in the sense that they are known to inhibit viruses and decrease the severity of an illness. These are a natural way to reduce cholesterol levels which in turn helps to maintain a healthy heart. Mushrooms contain sterols which are compounds that interfere with production of cholesterol in the liver while increasing your HDL, good cholesterol. With there great source of B vitamins, mushrooms can help support good adrenal health and turn nutrients from food to energy. B vitamins can also help neurotransmitter function to get you through the brain fog, prevent thyroid issues , and maintain a healthy metabolism. Due to their adaptogenic properties mushrooms can help with chronic stress and keep you in a good mood. Vitamin D being one of the most common deficiencies, mushrooms can come in handy to help with this. Some types of mushrooms when exposed to the sun they have a greater concentration of their vitamin D source. Studies have shown that mushrooms can contain D2, D3, and D4 sources. Reishi: powerful adaptogen that helps the body deal with stress and known to be a natural anxiety reducer. They have the ability to increase energy while bringing the feeling of calmness at the same time. They also are named to be an all around mood booster and can help with adrenal fatigue. Shiitake: Contain chemicals that help protect DNA from oxidative stress and known to be a natural cancer treatment. Other amazing substances it contains can help to reduce cholesterol levels, heart disease risks, and high blood pressure. Some other effects these types have are antiviral, antibacterial, and anti fungal. Lastly they are known to help control blood sugar and reduce symptoms of inflammatory disease. Cordyceps: These mostly known as the “anti aging” mushrooms of the bunch. The anti aging name comes from its ability to act as a natural stimulant to increase stamina and endurance. Another reason to be named this is their ability to protect the mitochondria and increase the antioxidant activity in the cells to give the anti aging affect. Maitake: Loaded with vitamins these are particularly known for containing the substance beta-1,6 glucan which stimulates the immune system. They have been known to minimize the effects of radiation and chemotherapy. Lastly they are great hormone balancers and reduce hypertension. Oyster: Have the ability to reduce joint pain and muscle aches due to their anti inflammatory properties. 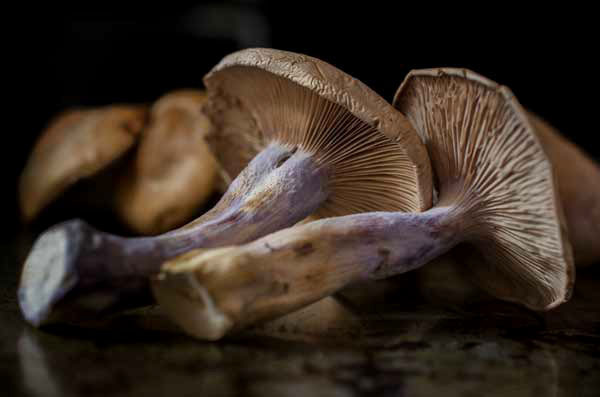 Most commonly these are known to be a heart healthy mushroom in that they help to strengthen the blood vessel walls and lower risks of heart attacks and stroke. Cremini/ White Button: Loaded with micronutrients and help to balance any hormone irregularity. Cremini have a great source of CLA which is said to control the production of estrogen and can help with controlling the growth of cancerous tumors. Morels: These have a great source of vitamin D and Iron. Morels are known to help with fighting against oxidative stress in conditions such as Parkinsons, Type I and II Diabetes, and Cardiovascular disease. 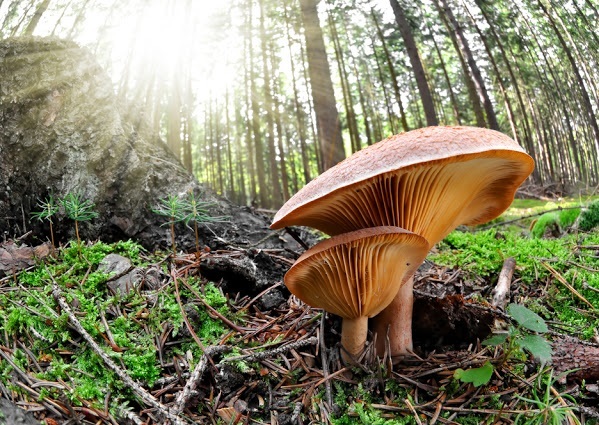 This amazing mushroom is also said to protect the liver against any oxidative stress. Download this PDF for a savable infographic on mushrooms and what they do for you. This entry was posted in K's Kwik Nutrition Corner. Bookmark the permalink.